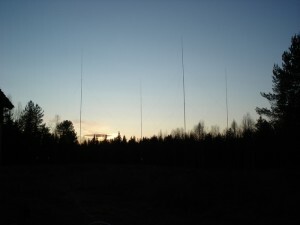 The current main antenna on 80m and also the first real antenna put up at the QTH is the 4-SQ for 80m. It has got a COMTEK phase box and 1/4wl seperation of the verticals. Each vertical has got atleast 60 radials each which are > 1/4 wl, some are well over 1/2 wl. 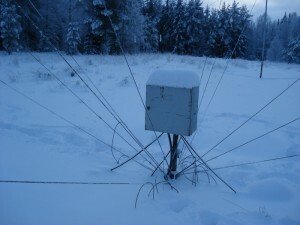 The antenna is sitting on posts to keep them above the snow in the winter and can be lowered fairly easy with a ladder. 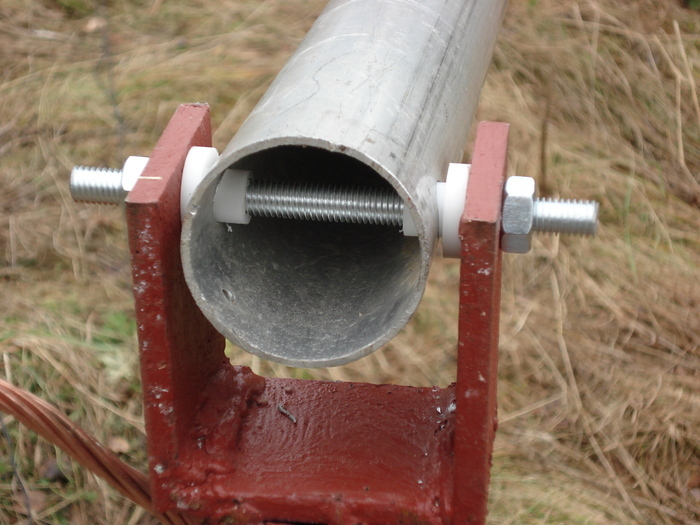 The verts are 60mm in the bottom and 12mm tips. 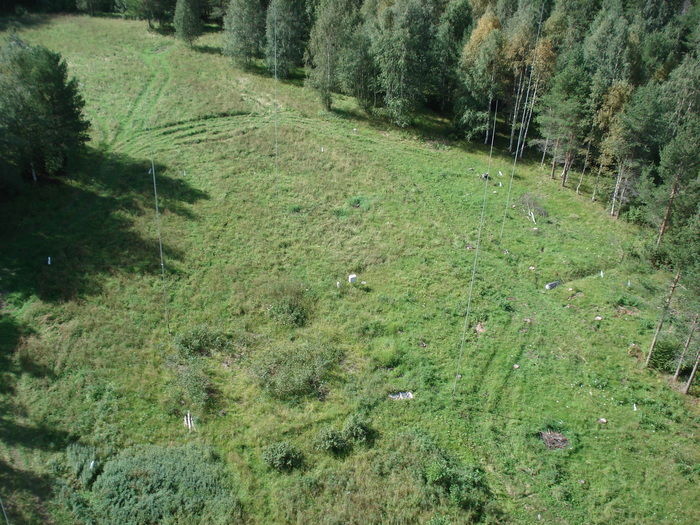 Each vertical is about 20m tall and guyed at three levels with parafil. 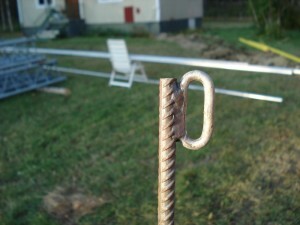 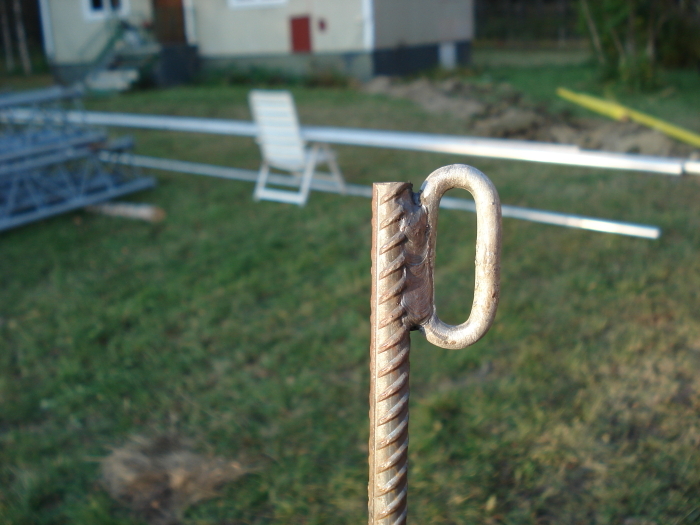 For guy anchors we use some iron bars which are 110cm long and put down into the ground, they are 10mm thick. The coaxial cable running out to this antenna is a 60m long RG-17 which has got a metal protective coating. 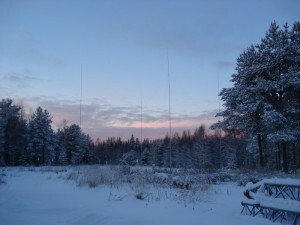 The future plans for the 80m antenna system is to build a 3el yagi, probably a project for the summer of 2015 or 2016.